Ultra Scrim SR 6- LDPE UV Resistant with a high-strength cord grid! Ultra Scrim SR 6 marries two layers of linear low-density polyethylene with a high-strength cord grid.This film compares to a 6 mil poly. This plastic sheeting gives you great strength to hold up from tears but yet is lightweight and easy to work with. Custom tarps and covers can be made from this film by adding zippers, grommets, hems, tie-downs and more. Tell us what you are looking to cover, and this film can be manufactured to meet those custom needs. Used for building enclosures and containment tents. Shipping container covers and liners. 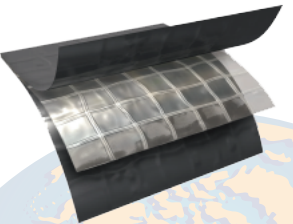 UV stabilization protects the material from degradation during extended exposure to sunlight. Do you have a quick Ultra Scrim question?